Staten Island Arts is excited to welcome the African Film Festival to Staten Island as part of the Cinema Connex Downtown Dinner & A Movie series. The African Film Festival—a Manhattan-based nonprofit—increases recognition for African media artists by taking a comprehensive approach to advocacy for African film and culture and by presenting films for a broad range of audiences in the United States, bypassing economic, class and racial barriers. Join Staten Island Arts and the African Film Festival for two FREE screenings on Saturday, February 9th at 8 pm and Sunday, February 10th at 6 pm at Search Party Studio (71 Wave St, Staten Island, NY). Doors open an hour before the screenings. AFF Founder and Executive Director Mahen Bonetti and some of the filmmakers will hold Q&As afterward. Before or after the films, grab a hearty dinner on Bay Street and drinks or coffee at a bustling downtown spot – with 20% off your bill at our Bay Street Corridor Restaurant Partners. The films offered by the African Film Festival are contemporary and original movies that are currently available only through live attendance. On each night, the running time is estimated at 115 minutes, with a lineup consisting of the films below. Within his family, a Nigerian father is the patriarch and protector of his flock. “Still Water Runs Deep” follows a man who leads his household with a stern hand and assertiveness; but when his estranged son goes missing, his reluctant search turns into an emotional journey to find him, shaking the core of his steely resolve and revealing his most intimate being. 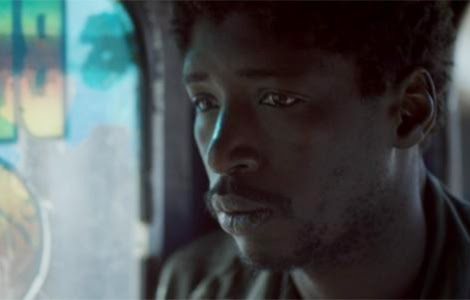 When his efforts to reach Europe prove unsuccessful, Sega is thrust back to Dakar where he must now confront his family and friends and navigate his disappointment as well. Surfers, metal heads, and guerilla filmmakers explore their identity and culture in Sierra Leone, Botswana, and Nigeria. “Mr. Gele,” the docu-film, focuses on the man, the story and the craft of the celebrated Houston-based Nigerian Gele (headwear) artist Mr. Hakeem Oluwasegun Olaleye, popularly known as Mr. Segun Gele. Segun Gele is a self-taught creative who has been able to use his skills as a Gele designer and makeup artist to exalt the beauty of women around the world. Cities across the United States are rapidly being gentrified. A manifestation of neocolonialism, rising rent prices are forcing existing disenfranchised communities out of their neighborhoods. These are the stories of affected. Before or after the films, moviegoers can enjoy the best of Downtown Staten Island’s dining. Enjoy 20% off your bill during the screening days at our Bay Street Corridor Restaurant Partners: Bay House Bistro, Chang Noi Thai, Craft House, Errigo’s Restaurant, Everything Goes Book Cafe, Lakruwana, Pier 76. Get your 20% off coupon HERE.